Dryptosaurus was found in 1866 by Edward Drinker Cope. He had named it Laelaps at the time. Afterwards, it was found that a mite had already been given the name Laelaps and E.D. Cope's nemesis Othniel Charles Marsh renamed it Dryptosaurus. Dryptosaurus itself was a mystery as to which family it belonged to. It originally seemed to be a Megalosaurid. 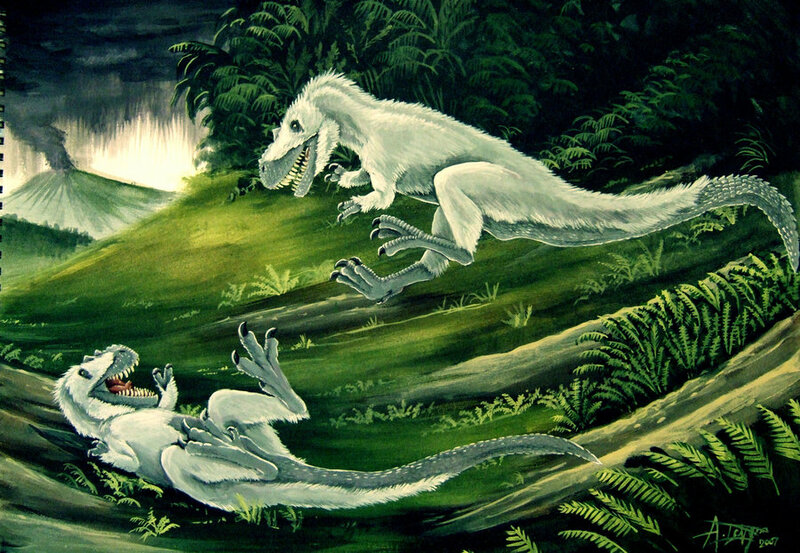 Then it was reassigned to Coelurosauria. It is now known to be a primitive ancestor of the Tyrannosaurs.